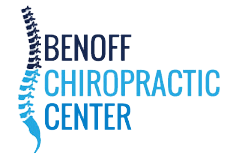 The professionals at Benoff Chiropractic Center provide Nutritional Counseling for patients who have interest. This includes overall healthy eating habits, as well as specific nutritional supplements which can help improve and maintain acute and chronic conditions. Whole food supplements, Chinese herbal formulas, Probiotics, Immune support, and many other nutritional and healing remedies are available.